Follow our group on whatsapp...send a whatsapp message to us +6592787777 and the admin will add you in the current group or a new one if already full. Dont be a dork and just sms "hi"....be a nice feller and intro yourself...your age...and let us know how we can serve you:) We ain't mind readers. Featured Article : Best Places In our beautiful Singapore must visit while you live! Featured Article : Ultimate guide to Haunted Spots to explore on you scooter! Featured Article : Lead Batteries vs Lithium Ion batteries. 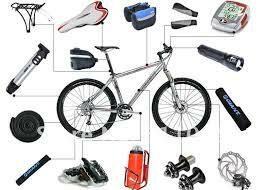 Featured Article : Technology and Gadgets you MUST own if you ride a bike. 2017 Latest! 19 functions in one bicycle repair tool kit.Lightweight and perfect accessory for general bike repairsMade of durable chrome vanadium steel.Unique design, can be folded into a small size.Easy to carry outdoors. Can use all paths except Roads for vehicles. Can use bicycle tracks and Main Roads. No going footpath! Can use footpath and bicycle tracks....but cannot use main road. Minor Falls : Cuts, Bruises, head injuries and massive fractures. Haunted Roads in Singapore you can bike/scoot in! 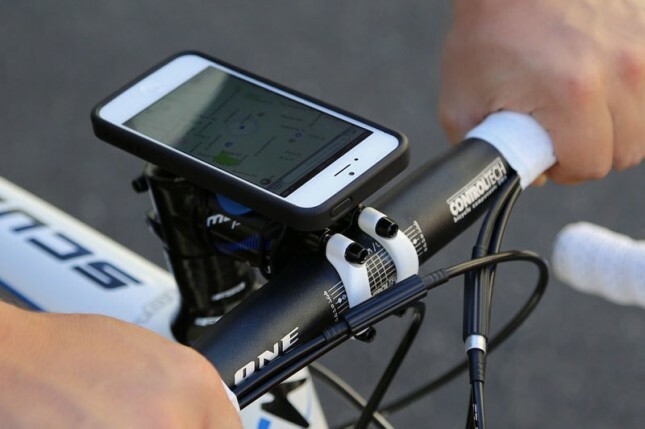 Gadgets Cyclist Must have on their Bikes! Singapore E-scooter riding gang does the impossible....they rode their bikes across the whole island of SG!! OMG! SINGAPORE PEV COMMUNITY - RIDING FROM CHANGI TO LAO PA SAT FOOD CENTER! 2. Make your selection of the range of Bikes, Bike accessories, camping outdoor equipment and tactical and rare and unique items. 4. Enter your mailing address. 5. Item will be immediately processed and dispatched to your home.. For items which are fragile and extremely delicate, we advice customers to self collect from our collection centers in Simei and Changi. 6. Your purchase would arrive in approximately 1-8 working days. ALL ITEMS ARE GUARANTEED. IF ITEM ARRIVES DAMAGE OR IF ITEMS HAVE NOT ARRIVED AFTER 40 DAYS WE WILL GIVE YOU A COMPLETE 100% REFUND. OUR MISSION IS TO ENSURE ALL OUR PRECIOUS CUSTOMERS RECEIVE THEIR PROPERTY. We are a local team of guys who got sick of PEVs (Personal electric vehicles) that were too costly or simply too poor in quality. 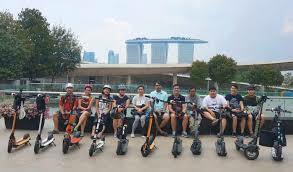 We got together to start to introduce to Singaporeans a whole new meaning to PEVing.......we as riders ourselves are putting new products on the market with 3 key important principals. Our bikes are all approved for sale and are available via this site only. We provide local stores with bikes which we as a wholesaler are proud to introduce to the market. Its only in 2017 that this site now caters to individuals and anyone alike who loves PEVs and want great items at excellent wholesale prices. (Yes to qualify for the prices we offer stores had to make a minimum order of 20 units previously, now having OPENED with our online store anyone buying one unit can enjoy the same quality and value we have to offer. Pricing - ​We aim not to be the cheapest in Singapore....that's cutting a fine line on quality. However we offer the best value for the prices we offer. ​Durabilty - Too often have we heard someone's friends uncle son has recently bought a scooter and it failed to work only after 1 week. That's something that happens to the rest of the industry but we in PowerMoneyWomen take pains to do extensive product and quality testing ​before delivering our items to the stores and clients who purchased from us. ​Safety - Product testing at our labs are very stringent. We build and sell bikes that work. We wont accept failing brakes and LED lights that are barely visible at night. Our customers are fellow Singaporeans just like we at PMW. We aim to win your confidence with our products that are created with safety in mind. If there’s one thing that today’s urban dwellers can be thankful for, it’s definitely the electric scooter and the convenience that comes along with it. An easier and faster mode of roving from one point to another, this techy trend has slowly taken over our city. But before you jump on the scootin’ bandwagon, why not get yourself informed with the know-hows and what-nots first? Check out our nifty guide to prep you for your forthcoming adventure on electric scooters in Singapore. Which should I buy?Flabbergasted by the vast selections of e-scooters in the market? Breathe…don’t panic. 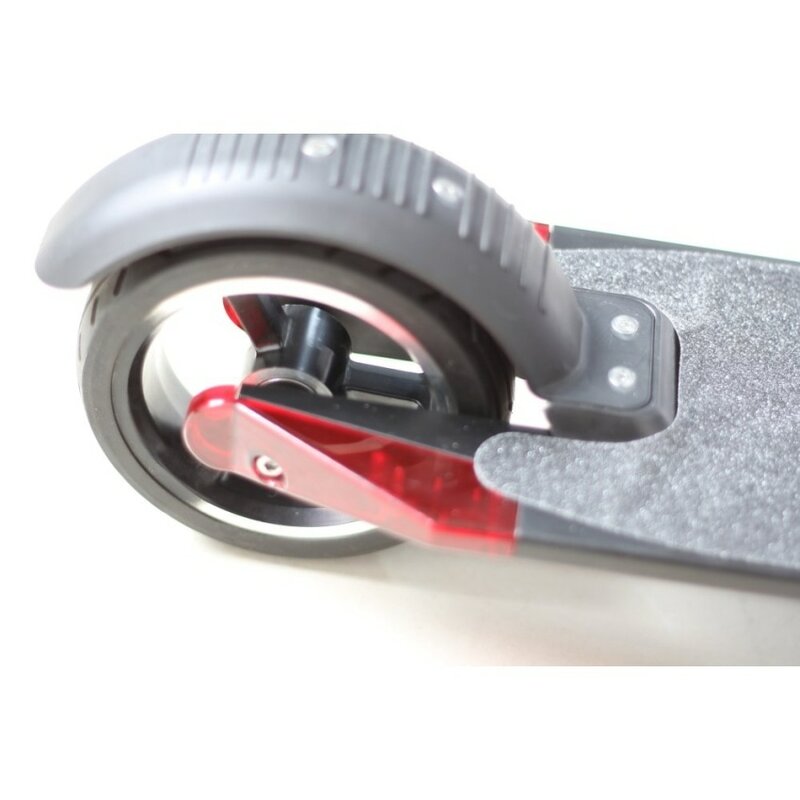 One tip for starters: focus on an aspect of the e-scooter that is most valuable to your daily needs. Perhaps our recommendations below might help you a little in your decision-making. Arguably one of the lightest electric scooters in the market, THEORY OF LIGHT is one for you if portability is the top priority on your list. Weighing in at 6.8 kilograms, THEORY OF LIGHT also provides a good speed up to 30 km/h. 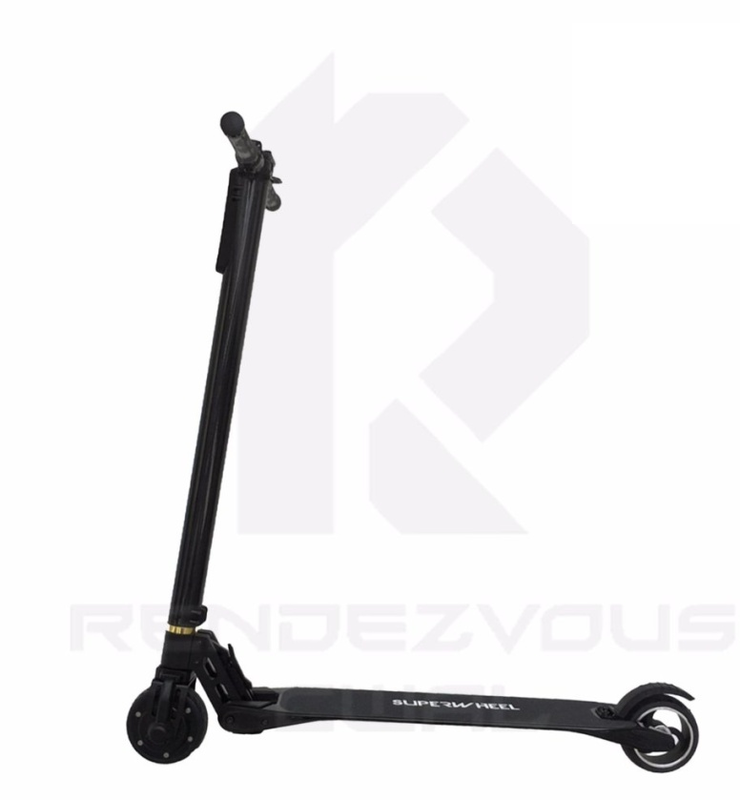 Made up of high-quality aluminium alloy frame, and decked with shock absorbers and suspension, rest assured that this scooter is sturdy and safe, despite its lightness. Need for speed, and power? The DUALTRON 2 PLUS (Portable Patrolling Vehicle) is one of most rugged and fastest electronic scooters you’ll find. Initially invented for military and rescuing purposes, DUALTRON 2 PLUS has now been commercialized and made available to the masses. 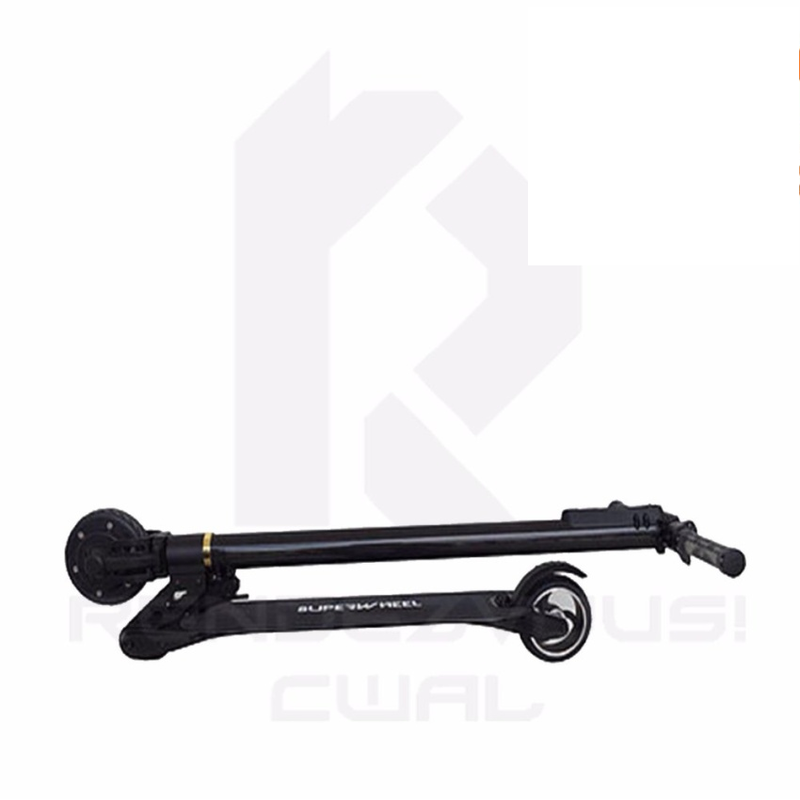 While it weighs around 25KG, it can hit some ferocious speed (up to 65 km/h), travel a distance up to 120km and is still compact to tuck away when not in use. Looking for something trendy and popular? It then has to be the FASTWHEEL 2.0 electric scooter. 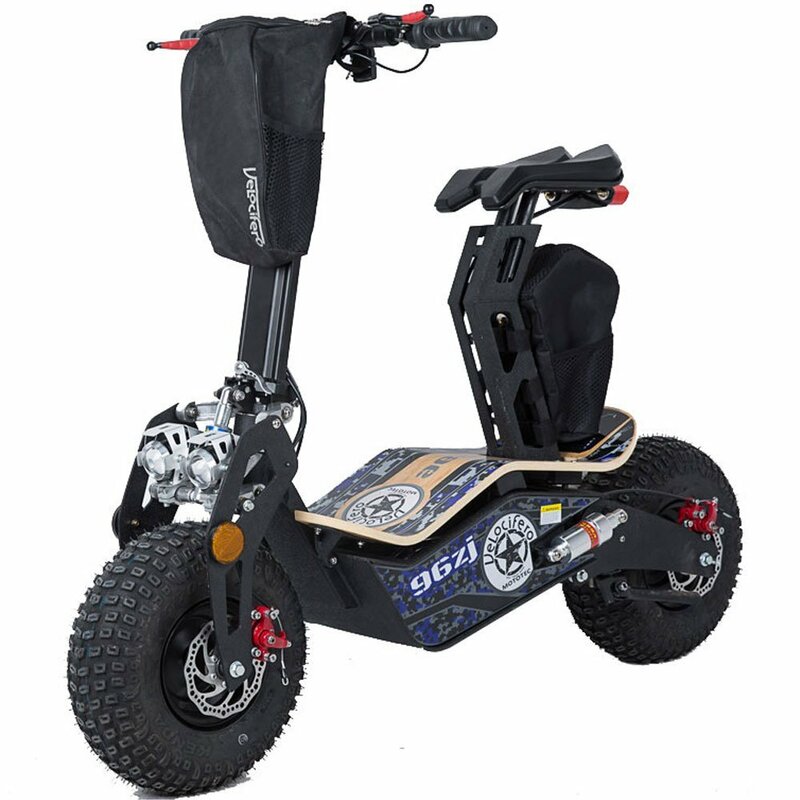 On top of the usual specs – lightweight, painlessly foldable, and a broadened deck, FASTWHEEL 2.0 is also equipped with state-of-the-art technology, having an all-in-one digital display that shows battery lifespan, speed and distance traveled. Its fully compliant with LTA guidelines so you never have to worry about getting your baby confiscated. Aside from its colourful aesthetic – available in blue, green or yellow – unique twist-lock folding mechanism, and a wider heavy-duty stepping board, the LIGHTNING 2.0 will be the best buy for you. At only $699 its ultra light (7.8kg) and has tires that cannot be punctured. Its the most durable with no bad reviews almost 2 year running since LIGHTNING 1.0 was launched in 2015. Alternative design without compromising on quality. 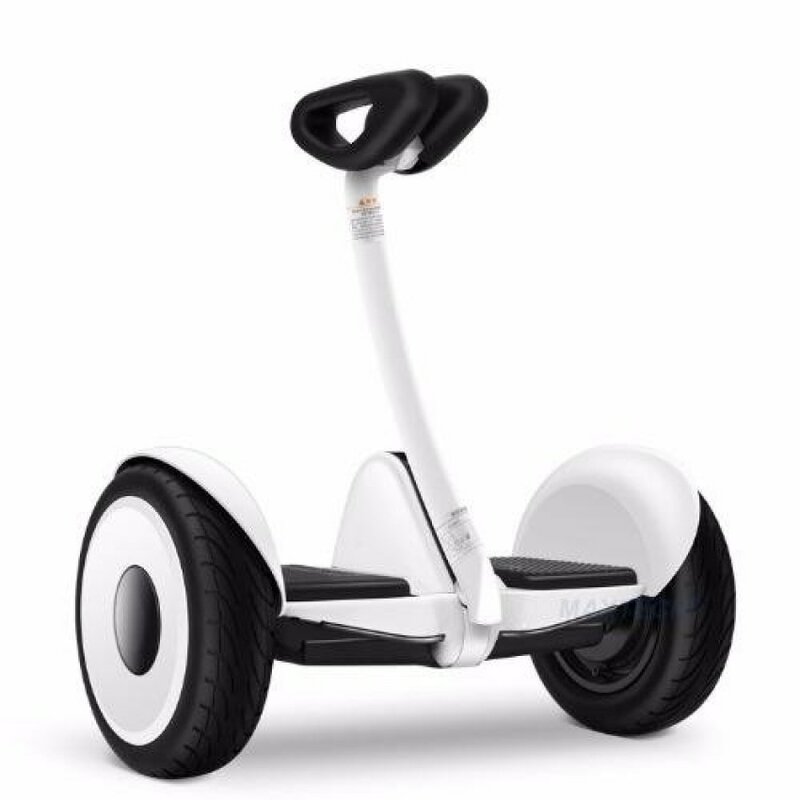 , the XIAOMI NINEBOT will be our top pick. At just $749 we have been wholesaling our favorite entry to all of Asia. Its self balancing and extremely sensitive to your intentions moving in the direction which you so desire by detecting your body muscular movements. 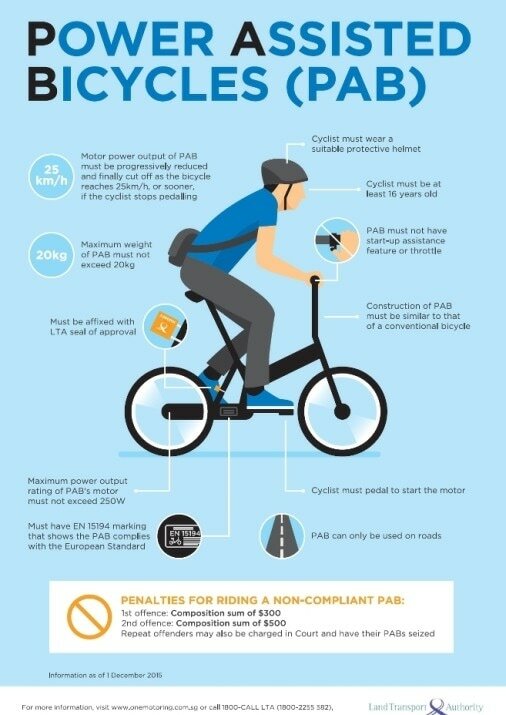 Yes, just like bicycles, there are also some ‘laws’ circling this techy ride. Read on and get acquainted with the regulations before deciding to buy one. Classified under Personal Electric Vehicles (PEVs), electronic scooters are regulated by LTA. 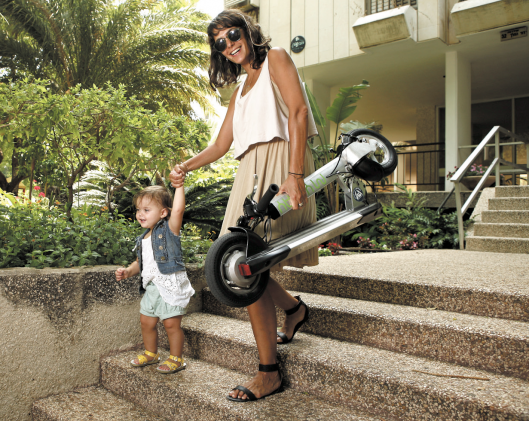 While it is not illegal to own an electronic scooter, its use is prohibited on any LTA roads, pavements or even park connectors (under National Parks Board). In fact, you are only allowed to use it on private premises. 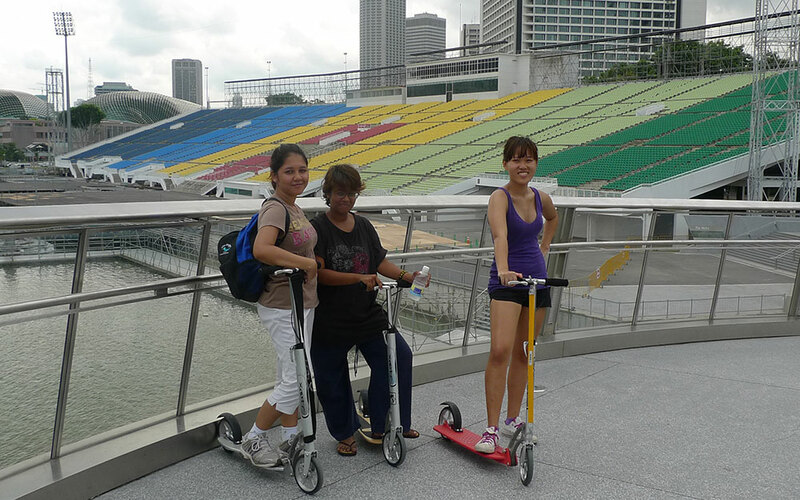 But there has been ongoing discussion by relevant authorities on this matter for greater relaxation on the regulation of e-scooters in Singapore, so do keep a look out for updates! 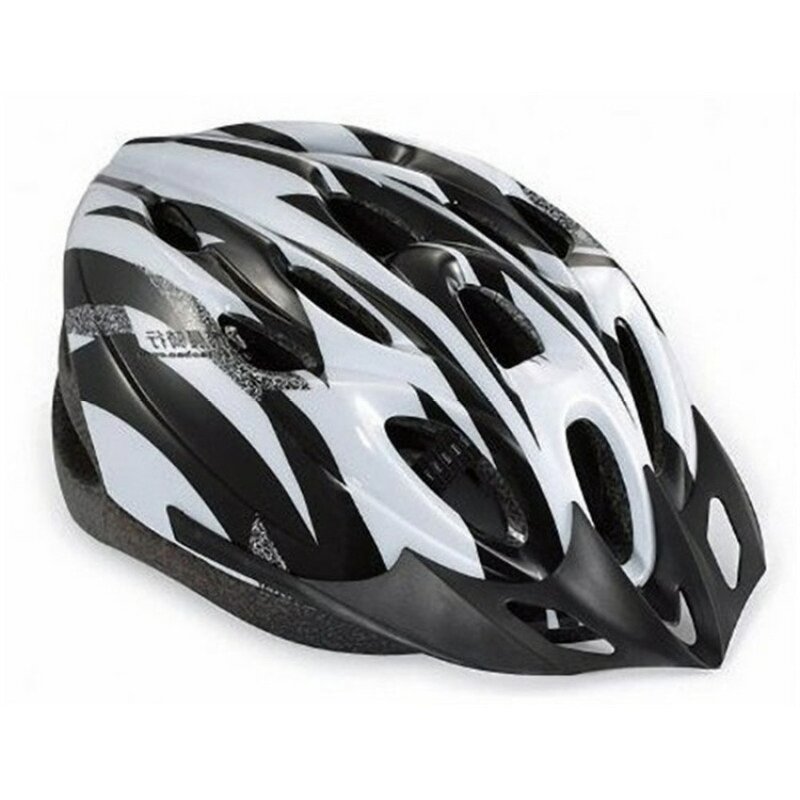 Also, while it is not strictly enforced, you’re strongly encouraged to don safety gears such as helmets, proper footwear and safety lighting. What do you desire....In a scooter? Introducing LIGHTNING 2 - the lightest scooter yet most durable and hardy work horse you will ever find. 7KG ++ WITH lithium ION muti pack batteries. $699 to become the owner....its a bike easily worth double the value! 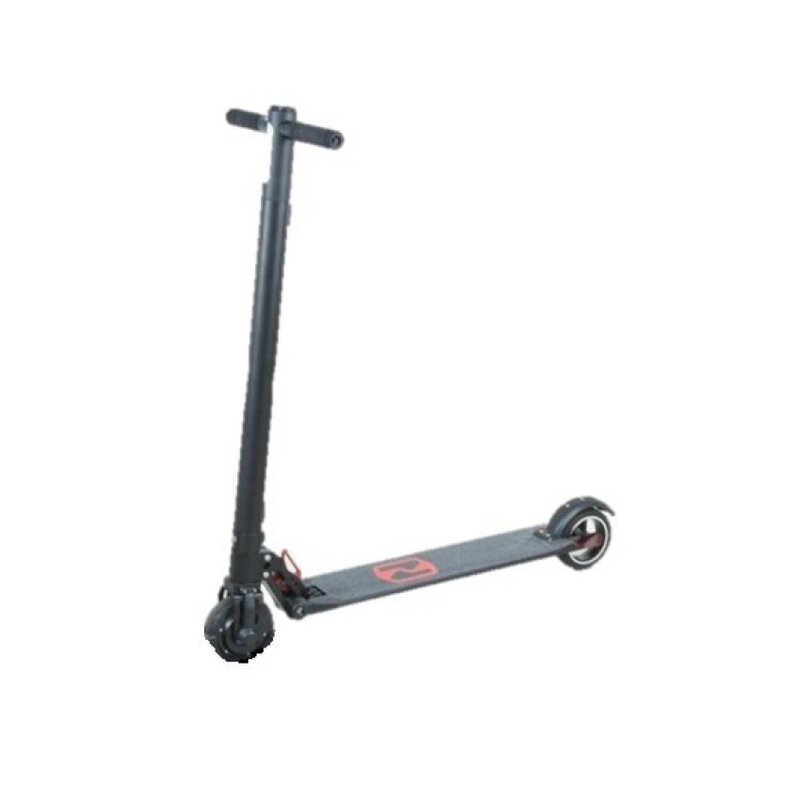 LIGHTNING 2 is a compact yet sturdy electric scooter weighting at only 7.7 kg (scooter weight) and measuring 1000 X 367 X 922mm unfolded, making it the perfect mode of transport when travelling between bus stops/MRT stations to schools/offices. Its product specifications are fully compliance with LTA and power adapter are SPRING certified giving you a peace of mind when travelling! ​-BATTERY PACK USED TO BE LEAD ACID....NOW WE USE LITHIUM ION. Notable difference in power....never have memory effect and can be charged or discharged at your whimp. ​- Tyres now use FLATTUBE 3.0 TECHNOLOGY. Its almost impossible to burst. So far in all our lab test we have been unable to make the tyres fail. We use the word "Almost invulnerable" because there's always some smart guy who can trash anything he owns if he tries hard enough. ​- Weight has reduced from 10KG to 7,7kg. Less weight means more power to carry you around! LIGHTNING THE LIGHTEST ESCOOTER 7KG++ TUBELESS TIRES NO PUNCTURE BUILD TO LAST RELIABLE! IT'S LIGHT.....IT'S FAST.......LIGHTNING 2!Lightning 2 was launched at $1099 but only at our site a special price of $699 awaits you! HOLD YOUR BREATH. IT'S FINALLY HERE. AFFORDABLE EXTREMELY FAST THE LIGHTNING IS HERE.....SINGAPOREAN ASSEMBLED AND BUILD WITH SAFETY AND LTA GUIDELINES IN OUR PERSPECTIVE! The warranty service is offered by the local manufacturer based in Singapore. Warranty can be claimed at any authorized service center within Singapore. Please refer to the warranty card and the invoice for guidelines on the claim process. HOLD YOUR BREATH. ITS FINALLY HERE. AFFORDABLE EXTREMELY FAST THE LIGHTNING IS HERE.....SINGAPOREAN ASSEMBLED AND BUILD WITH SAFETY AND LTA GUIDELINES IN OUR PERSPECTIVE! 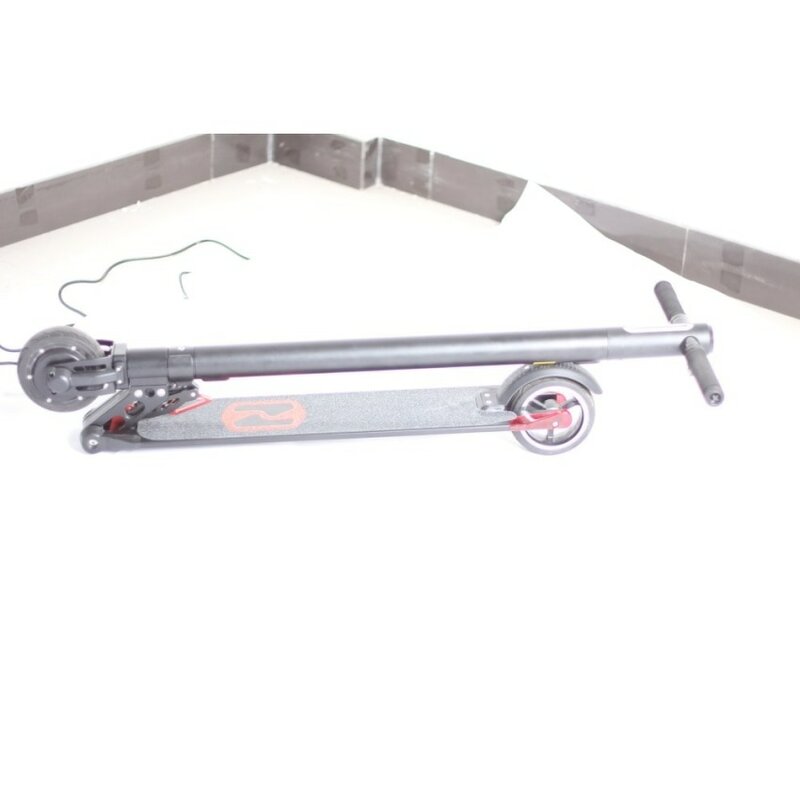 LIGHTNING is a compact yet sturdy electric scooter weighting at only 7.7 kg (scooter weight) and measuring 1000 X 367 X 922mm unfolded, making it the perfect mode of transport when travelling between bus stops/mrt stations to schools/offices. Its product specifications are fully compliance with LTA and power adapter are SPRING cerfified giving you a peace of mind when travelling! 30KM PER HOUR SPEED....EASILY CUSTOMISABLE. - All designed by Minimotors in Korea, manufactured in Minimotors factory. - To prevent any dirt and to keep clean product, long rear fender is a default option. 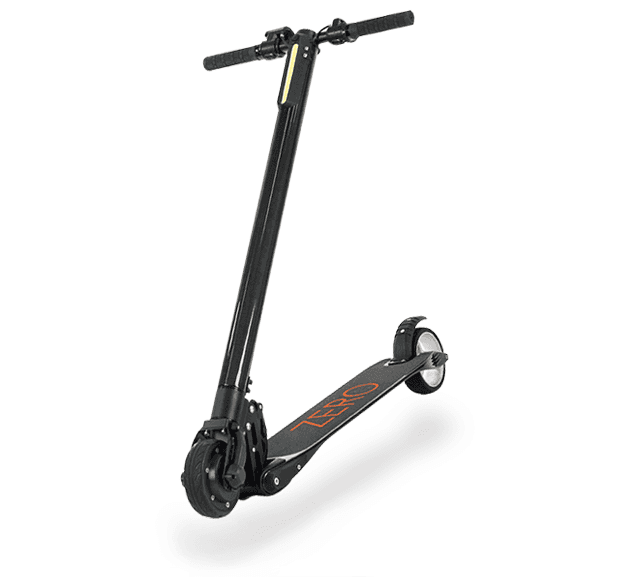 Note : One of the most powerful Electric scooters on the market now. Be warned the power is so powerful it cannot be used legally on roads in some countries. Kindly ensure compliance with the law and be safe towards pedestrians and other users of the tracks. ​The staff at Powermoneywomen were very informative, they guided me and my boyfriend along in getting the bike that suits us. Even though eventually we didn't buy from the site itself Mike was very professional, he even recommended good dealers in SG who helped us import the bike we wanted. Cheers to the team at Powermoneywomen! ​Thanks Powermoneywomen for the best bike I ever ordered online. Your team have helped me I have used the bike to tour all over SG's connected parks and urban landscape....simply love my nation and love your product! highly recommend! Singapore Boleh! For enquiries please call our hotlines! +6592787777. Kindly ask for Mike. He's our customer service advisor. We will find the right bike for you!